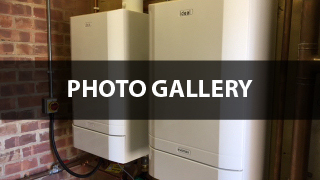 We are plumbing and heating engineers based in Irthlingborough, Northamptonshire. The owner David Whiting has more than 30 years experience in the industry and this, combined with competitive pricing and excellent customer service, has led to us building a reputation as one of Northamptonshire’s most professional and reliable plumbing and heating engineering companies. We pride ourselves on the relationship we have with our clients and go the extra mile to make sure communication is second-to-none. Your guarantee that all work will be carried out to the highest professional standards. Find out more about the CIPHE Code of Professional Standards here. The care and thought that goes into our work is second to none and is what sets us apart. We offer free quotations so whether it’s a blocked sink or a complete heating system redesign and installation, call us on 07850 269025, e-mail us at info@davidwhitingsolutionsltd.co.uk or use the enquiry form here.